Poor Layer Coloring: They have 6 layers on one map plotted as different shades of blue! 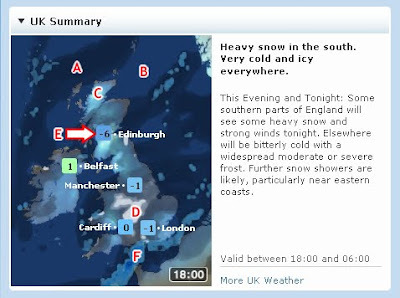 The map could be improved by replacing blue shading with the use of symbols, interestingly, this is how they BBC used to do it a few years ago (see above). I've criticised the BBC for overcomplicating maps of elections here.